Chiang Mai (or “New City”) was founded by King Mengrai, the first King of Lanna in 1296 on the site of an older city called Wiang Nopburi, of the Lawa people. The New City then became the capital of the Lanna Kingdom. Back in the 14th century, the city was surrounded by a moat and a defensive wall because Burma and the Mongol Empire were constant threats. As the Lanna Kingdom declined, the city become less important and was finally occupied by the Burmese in 1556. In 1775 Chiang Mai officially became part of Siam by a formal agreement with Chao Kavila, after the Thai King Taksin drove out the Burmese. Chiang Mai was then abandoned between 1776 and 1791 due to the Burmese counterattacks. Despite this, Chiang Mai continued to grow in culture, trading and economic activity and now it is the unofficial capital of Northern Thailand, coming in second to Bangkok. 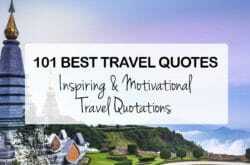 The city is also affectionately known as the Rose of the North. 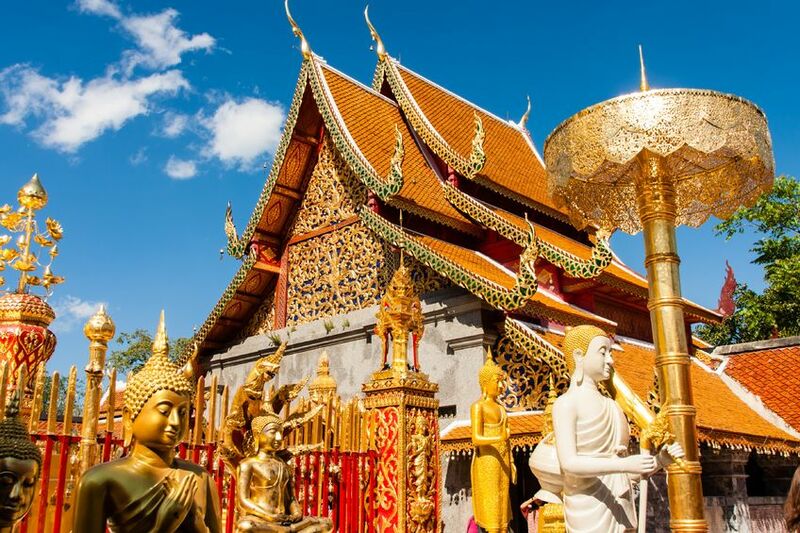 Doi Suthep, or Suthep Mountain, is the name of the western district of Chiang Mai city and home to the Chiang Mai Zoo and the Nimmanhemin Road area. Doi Suthep is known for its temple Wat Phrathat Doi Suthep and the National Park. 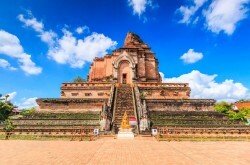 The temple was built approximately in the 14th century and it is considered one of the most sacred places in Chiang Mai. Doi Suthep is around 1,600m in height, you can see this mountain from practically anywhere in the city–even at night. This mountain is also available for hiking. On the way up the mountain, the road has forest, pine and beautiful flora and fauna, along with amazing waterfalls and spectacular views that are definitely worth photographing. You should note that you should enter through the national park headquarters or visit any of the more popular falls you will have to pay the 200 baht park entry fee, but if you only go to the temple it is free. The Chiang Mai Zoo is located at the foot of Doi Suthep (just behind Chiang Mai University), and covers a large area of green land and stream valleys. 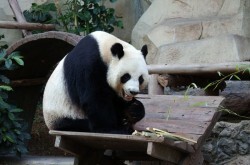 The natural environment distinguishes itself from regular city zoos. Along with this, there is go-carting, elephant rides, inflated plastic balls on the lake, a trained bird show and an “adventure railway” ride, where you ride around a deer and goat, dinosaurs, and a giant King Kong. While all of these are fun, the zoo’s main attraction is undoubtedly the pandas, who live in an air-con enclosure called a “snow dome” where there are artificial snowstorms with a toboggan slope and an igloo inside! There are also three ways to get around the zoo: walking, taking the monorail, or riding the bus, so no matter if you’re 5 or 105, everyone can make their way around the zoo and experience all of the wonderful things it has to offer. 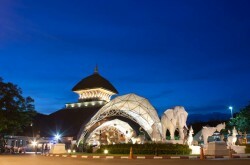 The Chiang Mai Night Safari park is a part of Doi Suthep-Pui National Park, and is around 328 acres of wildlife fun. The park lets visitors experience the wilderness for themselves. Through this night safari, you also get to do interactive, fun activities with many of the animals such as bathing the elephants and feeding hippopotamus . At the park, you tour three animal zones: the Savanna Safari, which is a 30-minute trip with animals from the African Savanna, the Predator Prowl, where you meet the kings and queens of the jungle and meet animals such as Bengal tigers, pumas, and lions, and the Jaguar trail, which is a beautiful walk around Swan Lake. You can travel these trails by foot or on an open-sided tram. 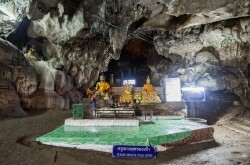 Some of the other things to do in Chiang Mai are to visit the Chiang Dao Cave. 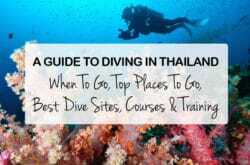 This cave is very large and has some of the most amazing stalagmite and stalactite formations in Thailand. Legend has it that this cave connects with many other caves, and goes all the way across the border into the Shan States. However, the official measurement of the cave is twelve kilometres, but visitors are not allowed to see the cave in full. Although the cave is mostly well lit, in some places you have to bring a lantern and hire a tour guide that knows their way around. Another great part about the cave is the frozen water walls that have formed from centuries of water drops. There are also many images of Buddha on the cave walls. Along with this, you can also visit the Padung Village where you can meet the ‘Long Neck Karen’ tribe. They are called this because the women wear brass rings around their necks as part of their culture. You can experience a segment of their culture and lifestyle, and purchase handmade souvenirs. 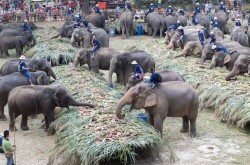 The Mae Sa Elephant Camp started in 1976 as a conservation centre for domesticated elephants from across the country. Here, you can see elephants as artists and entertainers and learn how talented these amazing animals are. These elephants are truly extraordinary: along with having a bathing routing and feeding in the river, they have been trained to paint, play football, dance and perform talent shows. You can also go on an elephant ride or learn more about them from an exhibit inside of the elephants’ living quarters. You can also participate in a basic mahout training course, to learn about elephants, health requirements, body language, basic training commands, riding and how to handle an elephant. The Wat Chedi Luang, or “Royal pagoda”, was perhaps the most impressive temple in Chiang Mai. Built about 600 years ago, the huge chedi was responsible for giving the temple its name. The Wat Chedi Luang was also important because for a short time, the Emerald Buddha was inside it, and this was considered the most important object in Thailand. A few years, ago the king donated a replica and now it is located in the eastern niche of the chedi. The other niches are filled with stone Buddha images. On the southern side, elephant statues decorate the base. To the west, the pagoda has small open shed that contains another image of Buddha. Along with this beautiful religious imagery, there are many artists selling their work in stalls on the large plaza of the chedi.